The genealogy world was rocked Tuesday by Ancestry.com’s announcement that they are discontinuing Family Tree Maker. 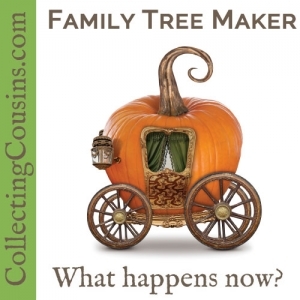 First and foremost, understand that your copy of Family Tree Maker is not going to turn into a pumpkin at the stroke of midnight on Dec. 31 . That is simply the date when Ancestry will stop selling the software. You can continue to use your software at full capacity for as long as you want, provided operating system updates do not interfere. Additionally, Ancestry will continue to provide support for FTM for a full year after they discontinue selling it. Now that you are no longer panicking, what does this mean for your genealogy data and software? After December 31, 2016, all support for the software will end and you will essentially be on your own. Again – your software will not stop working. [Update: Ancestry says that Tree Sync, Web Search, and other integrations with Ancestry.com may not work after that cut off. The desktop features will continue to operate as usual.] However, since computer operating systems continually update, odds are good that at some point Windows and/or Mac OS is going to be updated in a way that breaks FTM and it may no longer work. The next 12 months is the time to prepare for that eventuality. You have over a year to find another software solution that meets your needs, and there are many available for Windows and Mac. In the meantime, there are some things you should do now to protect your data. Export a full gedcom file from FTM with all media and people for each tree file. Name your file in such a way that you understand that it is the version that contains information on living people so that you don’t accidentally upload it somewhere; I suggest something like treename-FULL-yymmdd.ged. If something happens and FTM suddenly stops working, you have all of your data in a format that can be imported into another program. I suggest doing this for each tree file weekly or monthly (depending on how frequently you update your trees) until you switch to another software. Optional: You may wish to also export other gedcom versions that exclude living people or certain media. This is helpful if you plan to upload data to an online site but it not necessary if you just wish to save your data to import into another desktop program. Keep a backup of your FTM files and your gedcom exports both locally on an external hard drive and in the cloud with a cloud backup service. The more painless you make this, the easier it is to do it. For that reason, my backups are in a Dropbox synced folder (there are alternatives) that is backed up to Time Machine (which is included on all Macs) every hour. SyncBackPro is a good Windows alternative. Research your other software options. There are some that work for Windows and Mac, and others are operating system specific. Read reviews, download trial versions, and play around. 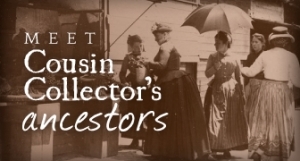 When you find one you like, purchase it and import your most recent full gedcom export from FTM (create a new one if FTM is still operational – it should be if you didn’t wait too long to complete this step). Optional: This would be an ideal time for a genealogy do-over. You have your old research, but at this point you could start a brand new tree and add only the data that passes the Genealogy Proof Standard. A good way to do this is to parse every source you are using through Evidentia, which will accomplish two things – you will glean every last bit of info in the source, and you will analyze it for accuracy according to the GPS before entering any data in your tree. If you have a tree on Ancestry but don’t use Family Tree Maker, you may think Ancestry’s announcement doesn’t affect you. Think again. My initial reason for purchasing FTM was a direct result of my ongoing paranoia about safeguarding my data; FTM was and continues to be the only way to fully download your Ancestry.com trees with all media and connections intact. Trees that live only on Ancestry.com are in grave data danger. Your family trees represent all of the research you have done into your family history, and if they live solely on Ancestry.com, you are at the complete mercy of Ancestry’s business decisions, hackers, server problems, and more. 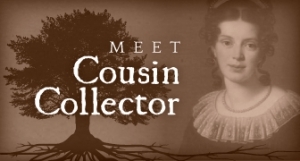 When your trees are on your computer, you have copies of all of the media that you have attached, but when they live on Ancestry.com, you can only view the Ancestry media if you are an active subscriber, even if you were an active subscriber when you attached it. Protecting your genealogy data requires that you control your data. By definition, a tree on Ancestry is controlled by Ancestry. 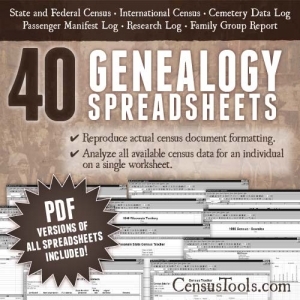 If your trees live only on Ancestry.com, you should get a copy of Family Tree Maker before December 31, 2015, set up Tree Sync to download your tree(s), and keep backups of your files both on an external hard drive and in the cloud. My family history files live in a Dropbox folder, which automatically syncs to the cloud and is accessible by all of my other devices. The same can be done with other cloud services. Once that is done, you should continue with the steps above to export your data and find another local software to use.